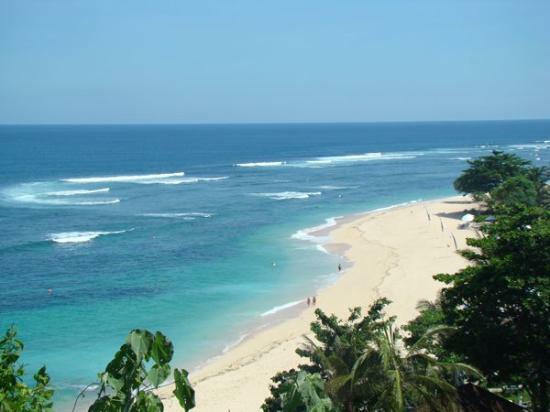 Beaches are Bali’s best assets, apart from its gorgeous cliff-side resorts, rooftop bars and celebrity weddings. 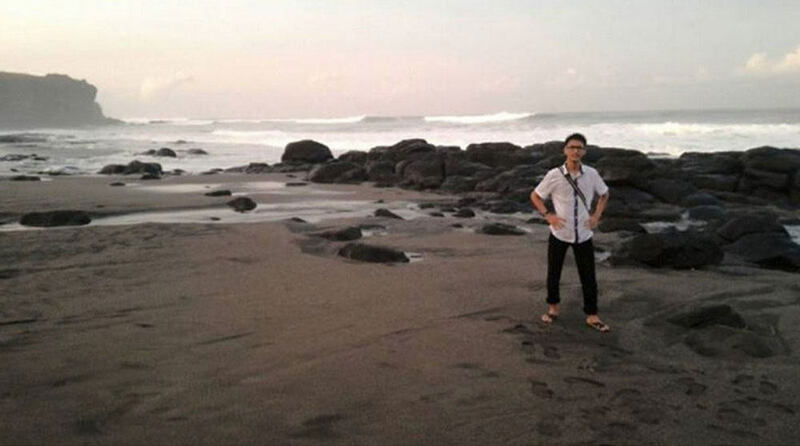 But have you ever heard of a beach with black sand, or one so exclusive that you can find the rich and famous there? This tropical island boasts of many such secret places tucked away in its little corners, where you can enjoy the sun, sand and sea far away from the crowd. 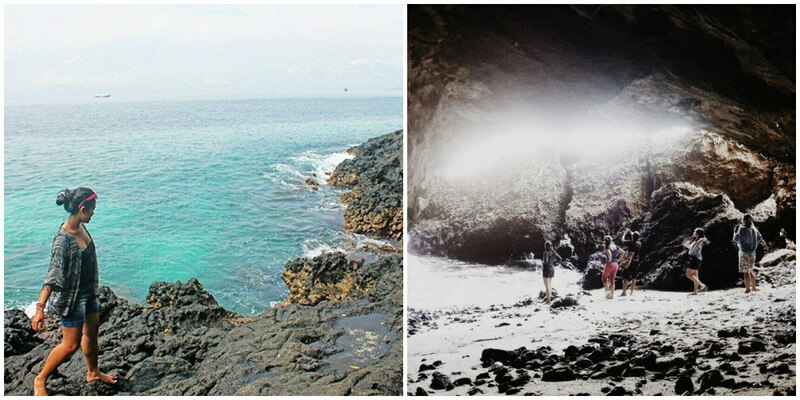 If you’re up for some adventure, what better treasure can you find than one of these hidden beaches? 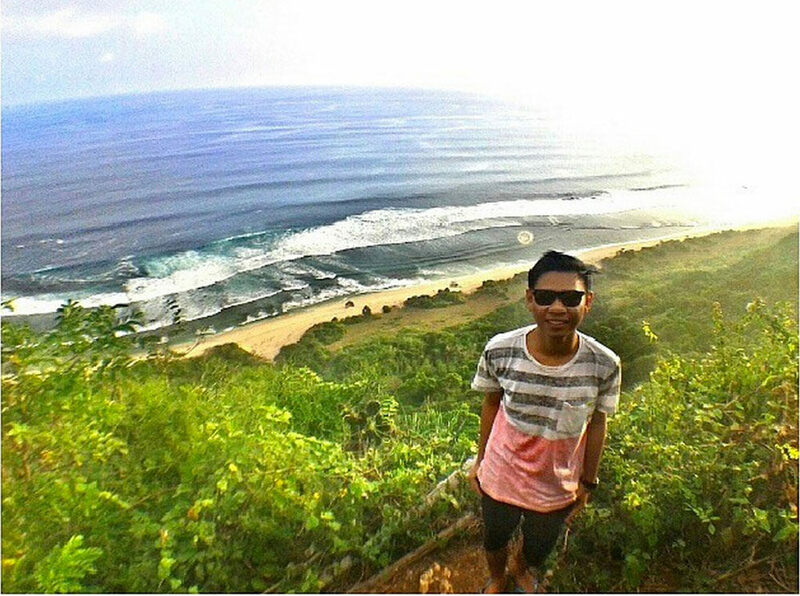 Directions: Take a car or bike to Jalan Uluwatu, and look for a sign that reads “Nyang Nyang Surfing Beach”. Park, then make the rest of the journey by foot to the beach! 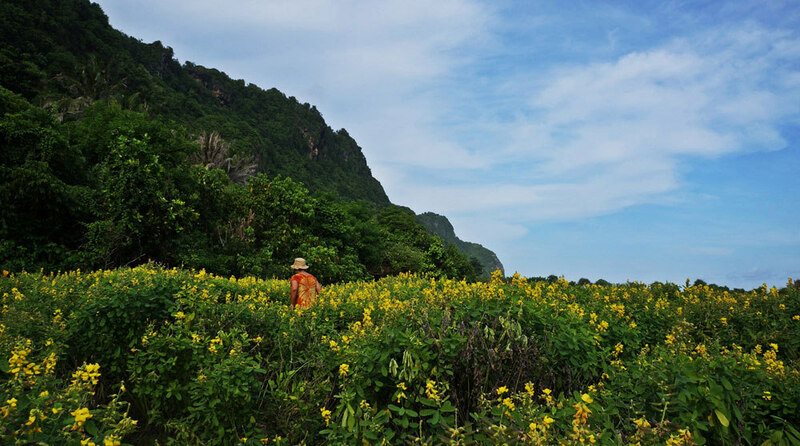 Gunung Payung is not only a hidden paradise, but is also (thankfully) quite accessible for being one. 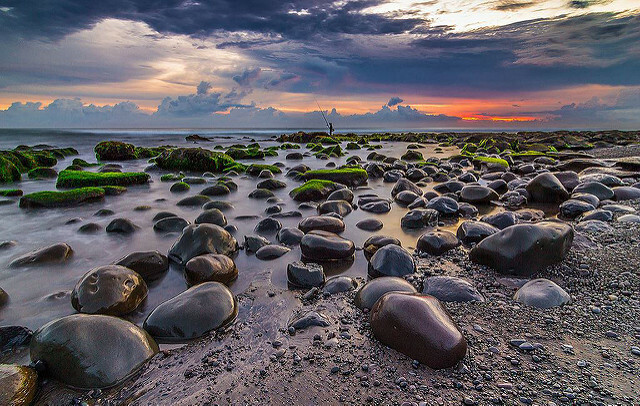 Just an hour’s drive away from Denpasar City, located at Nusa Dua – one can follow a marker road to reach here. Once here, get treated to panoramic views of the ocean right to the horizon! The beach is clean and perfect for trying out some yoga. You can also engage in various activities like surfing and snorkeling – or more culturally interesting ones like getting a glimpse of the local ways of life. Directions: The beach is located to the east of the famous Pandawa Beach, so one can easily ask locals around the area how to get there. Alternatively, you can try looking for the Gunung Payung Temple. 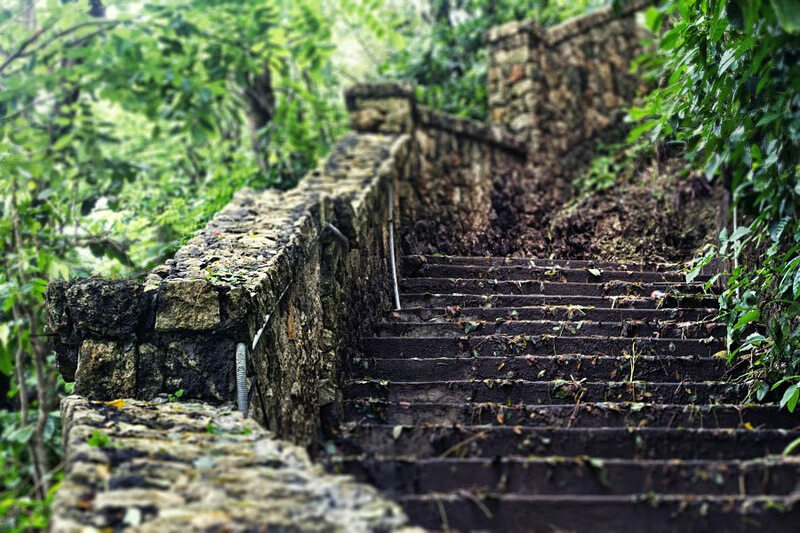 But be prepared for some serious stair climbing (300 steps)! Jump into the sunset… literally! About 250 metres before Tegal Wangi Beach, you park in a thicket and walk through some brush and a dirt path before coming out onto the coolest little cliff. 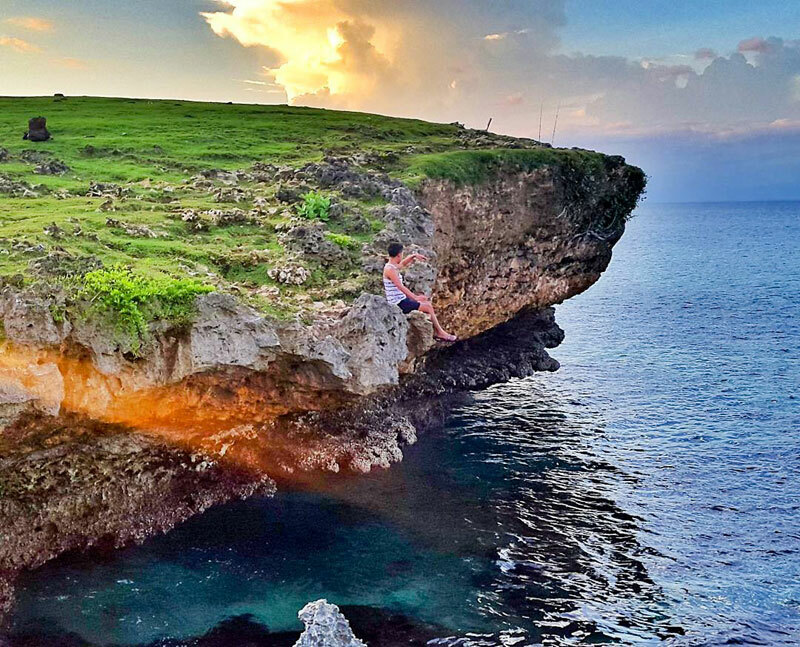 This spot is perfect for a thrilling cliff jump, barbeque and sunset get together. 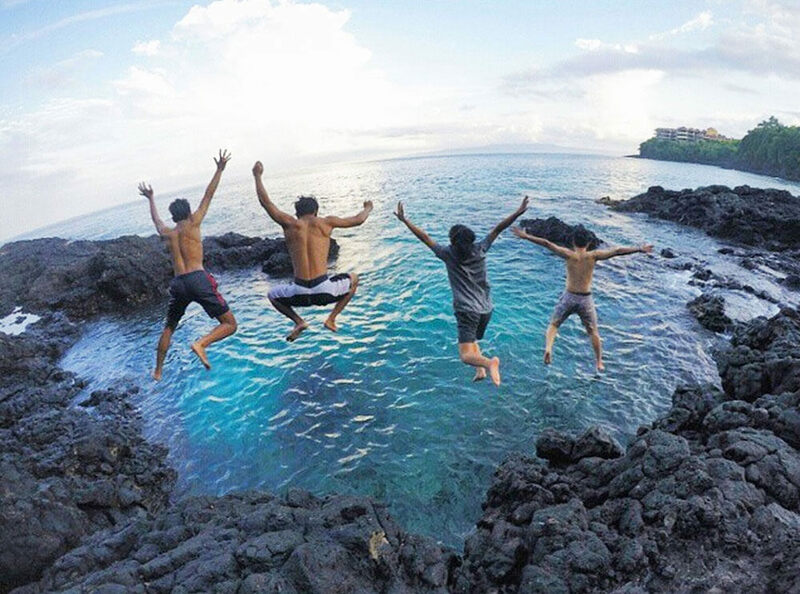 Take your friends, some coconut coals and get down on the best secret spot ever! 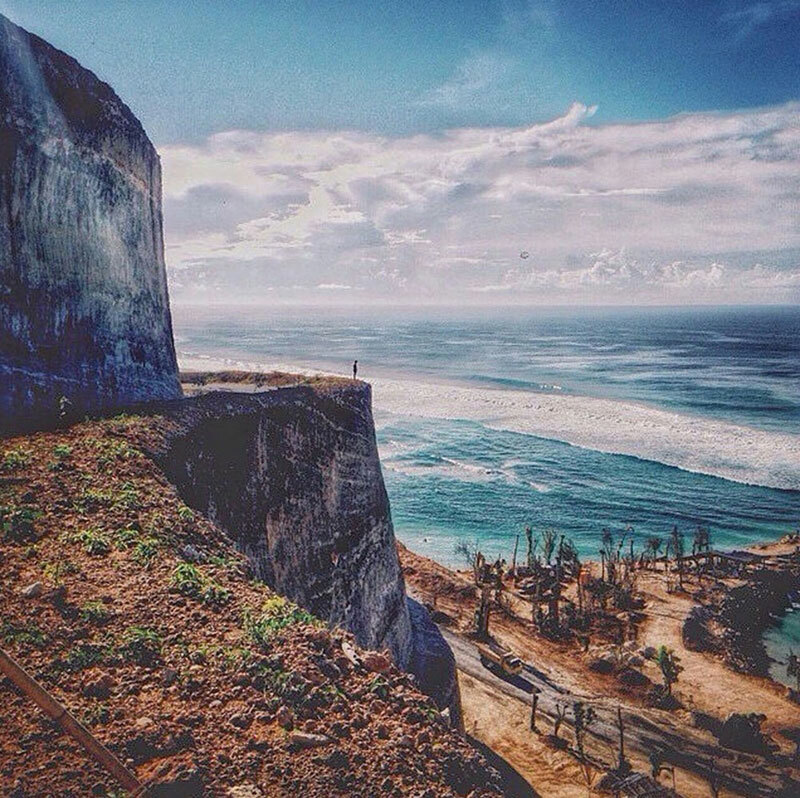 Private and low key, you and your friends can set up a grill, bring the meats and coconuts for a full-on cliff party. 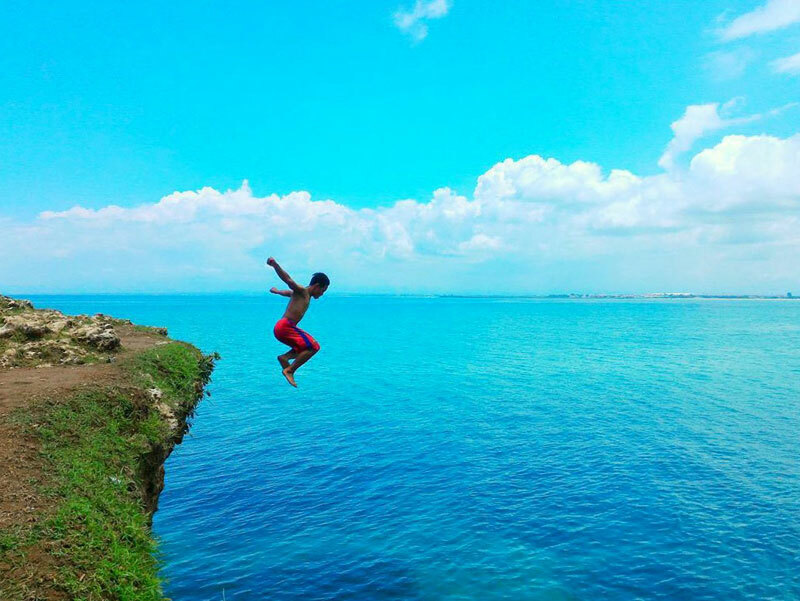 With a clifftop that juts above the water at about 4 metres high, the most adventurous can take the plunge into the ocean below, and take an easy swim back to land. If you’re not up for such a huge adrenaline rush, simply sit back and relax as nature demonstrates its beauty in the form of a magnificent water blow. Getting There: On the way to Tegal Wangi, pull off into the first thicket on your left. Hike through the bush for about 15 minutes until you come out onto the cliff! Coordinates here. 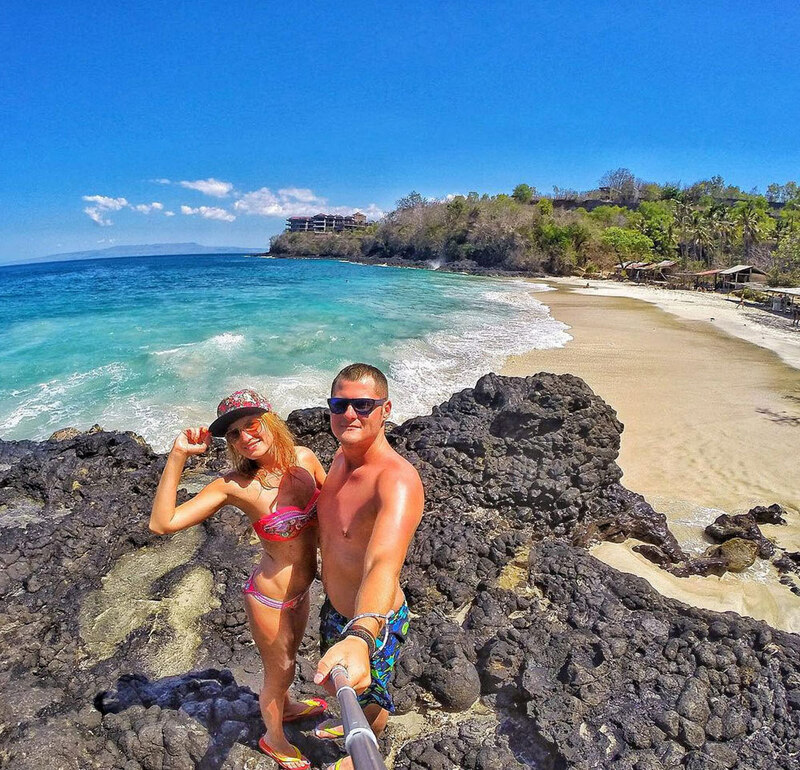 Bias Tugal, or Pantai Kecil (little beach) is yet another sparkly white secret beach that has some adventures lined up for you! 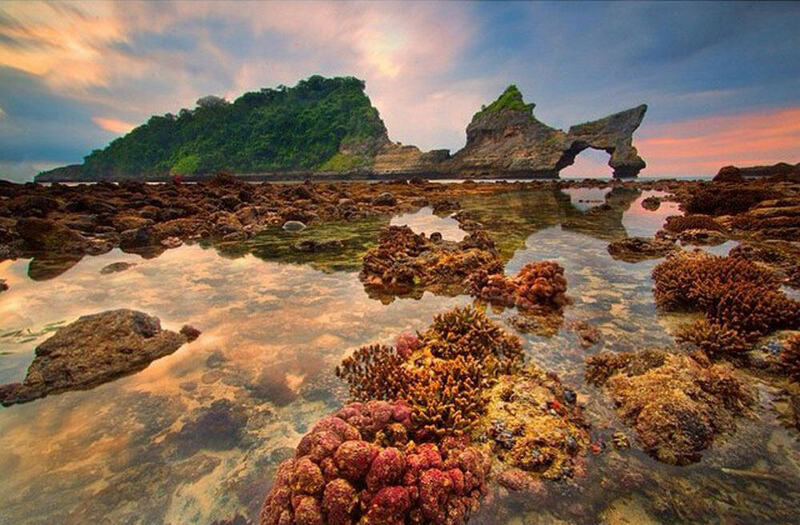 Tucked away in Padang Bai, one needs to trek through almost 500 meters of a rocky patch to reach the beach. Once there, indulge yourself in different activities like snorkeling, sea diving, and exploring the beautiful coral reefs. The waters here are perfect for swimming and even child-friendly. You could also just lie around, soak up some sun, and enjoy the views of the clear blue waters. Or even jump into the blue lagoon! This beach isn’t nearly as deserted as Nyang Nyang, and you will find some huts and stalls selling drinks and snacks to munch on while you’re on your beach retreat. Directions: Look out for a small path a few hundred meters south of the entrance port to Padang Bai. When you see a handwritten sign that says “White Sand Beach”, park your car or bike, and begin the short climb up and over the hill to get to Bias Tugal Beach! Address: Bias Tugal Beach, Jl. 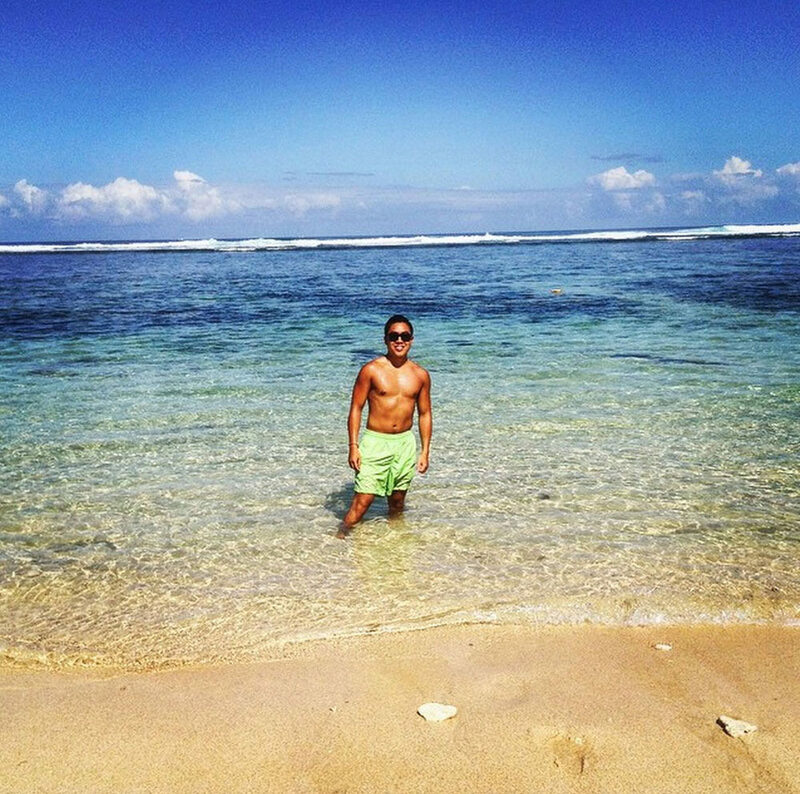 Penataran Agung, Padangbai, Bali. Coordinates here. Named because of its algae-covered rocks that are seen at low tide, Green Bowl Beach could have become the next big tourist destination. 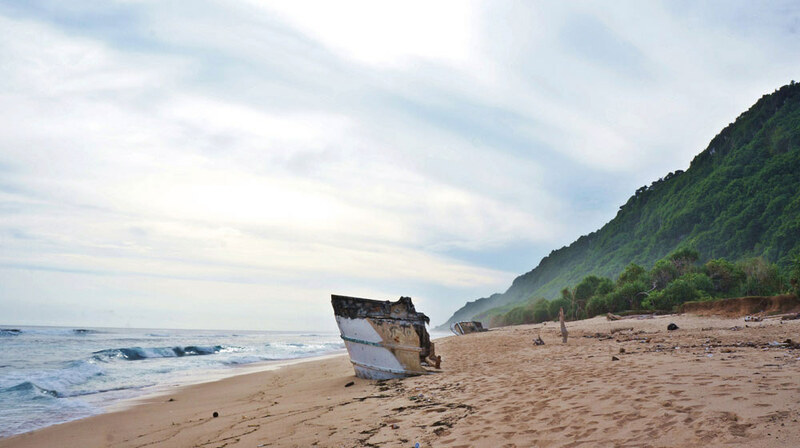 But the demolishment of nearby Bali Cliff Resort left the beach as an abandoned paradise, which remains known to only a select few. 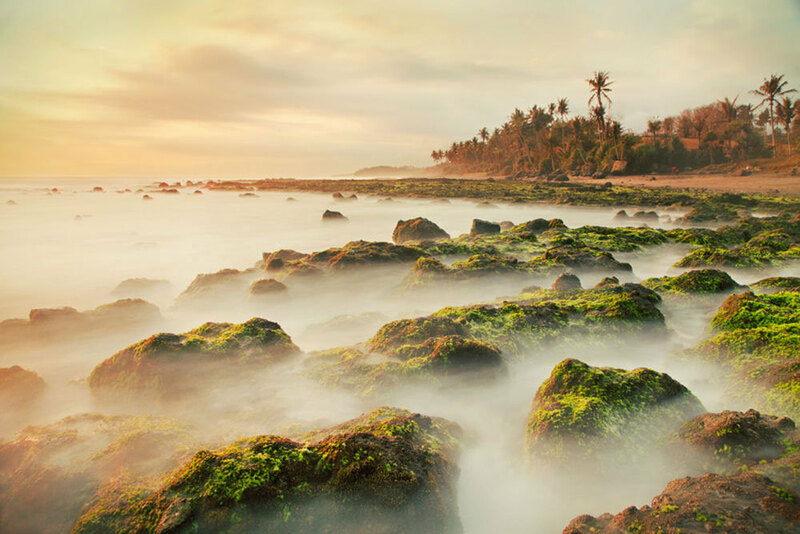 Although the beach is difficult to find due to tricky turns down a few tiny roads, it is a stunning example of Bali’s natural beauty. To get to the beach, you have to descend hundreds of steep concrete steps, before you can sink your feet into the sand. 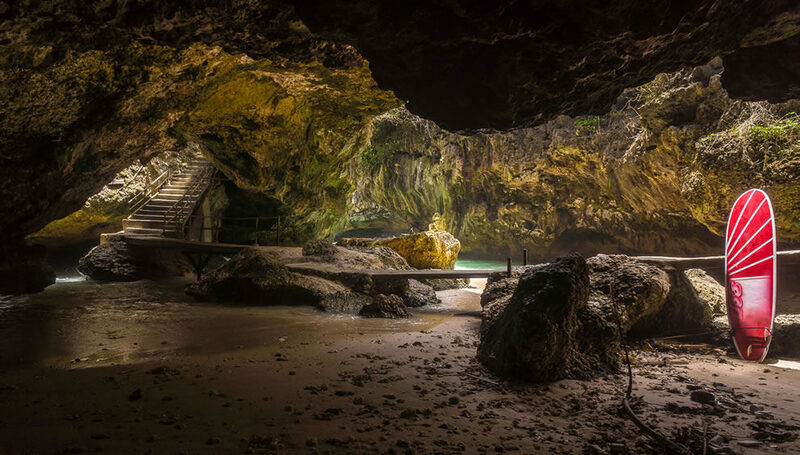 Green Bowl Beach is also famed for its resident population of bats living in beachside caves – you can often see hundreds of sleeping bats at noon. If you are not scared of flying creatures, you can even snap a once-in-a-lifetime Green Bowl Beach photo from the inside. Travel tips: The tide can be very high in the morning (it can reach all the way to the bottom of the stairs), hence it’s recommended to visit the beach around noon until 3 pm when the tide is low. Thanks Maulinadian for the tip! 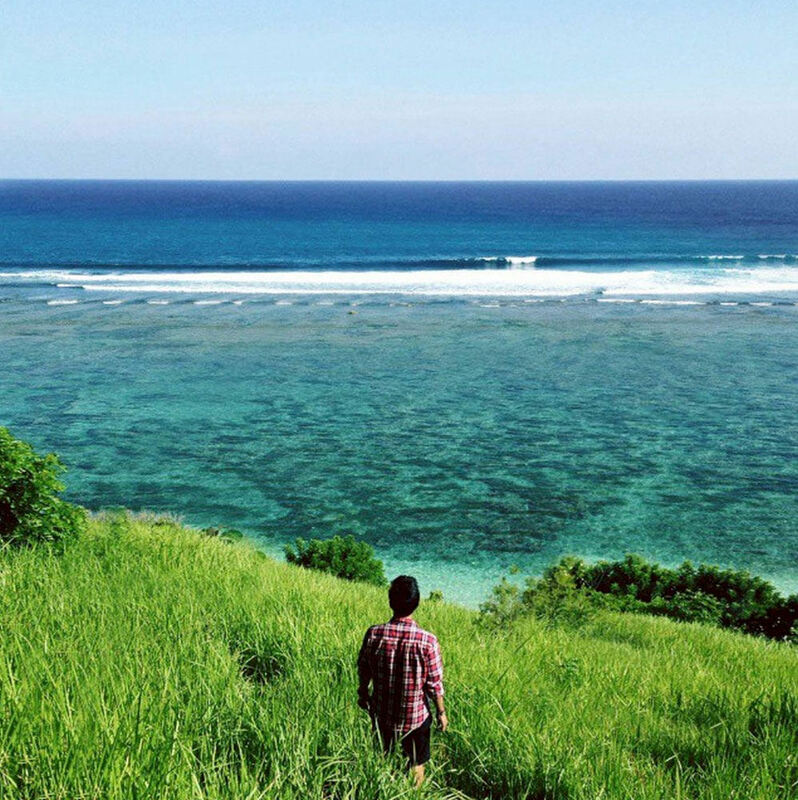 One of the most captivating beaches on Bali’s southern coast is largely ignored by tourists. 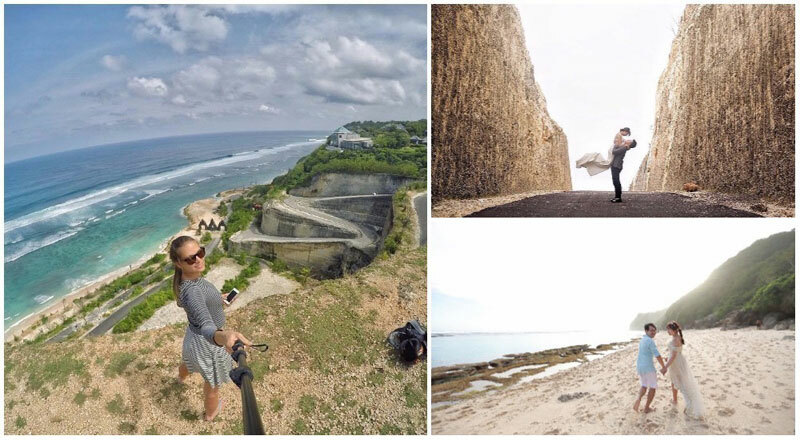 It’s mostly in-the-know photographers who make it down to Melasti, drawn to its beautiful rock formations and stunning high cliffs. 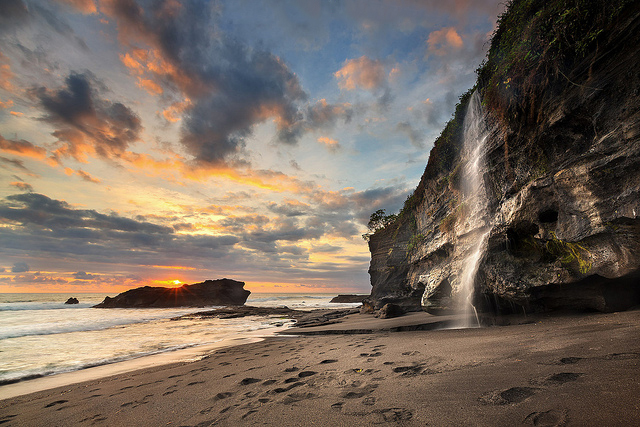 Take note not to mistaken this Melasti beach (Ungasan) with the one near Tanah Lot, where after the rain, a spectacular waterfall often appears on the clifftop, tumbling down on the sand and washing out into the ocean. 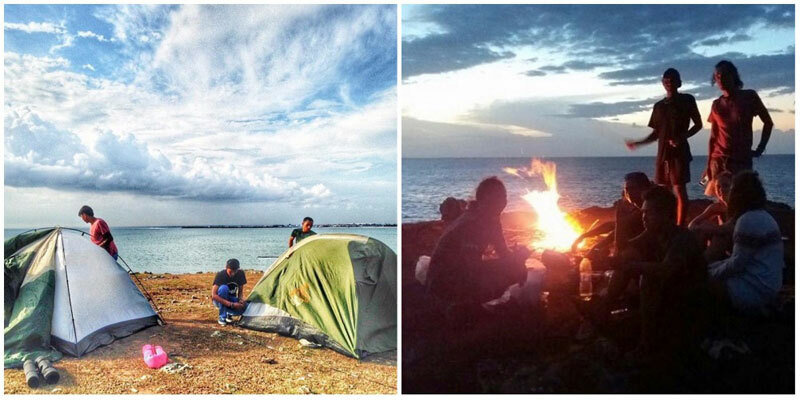 Take a break from the usual fare at beaches and let Atuh Beach surprise you! 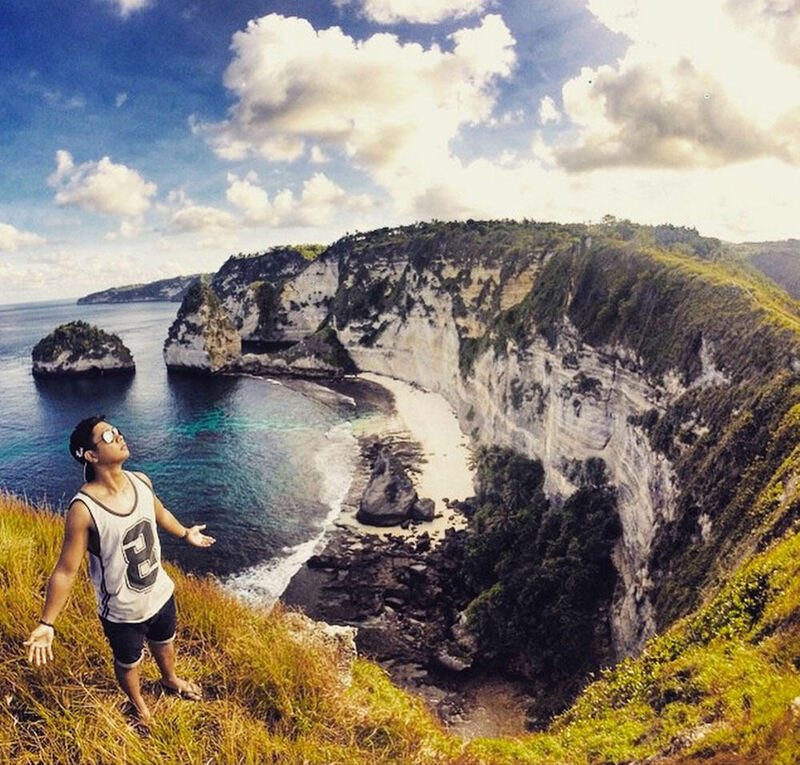 Located in Nusa Penida, Klungkung regency, the beach has one of the most striking views you can ever imagine. Here, you will find the shimmering turquoise waters juxtaposed against craggy mountain peaks, and stretches of white sands laid out perfectly in the curved beach. The beach is abundant with rock shelters and is overlooked by a cliff. But the stunning coral reefs are what bring Atuh to life, especially during low tide when at their full glory. 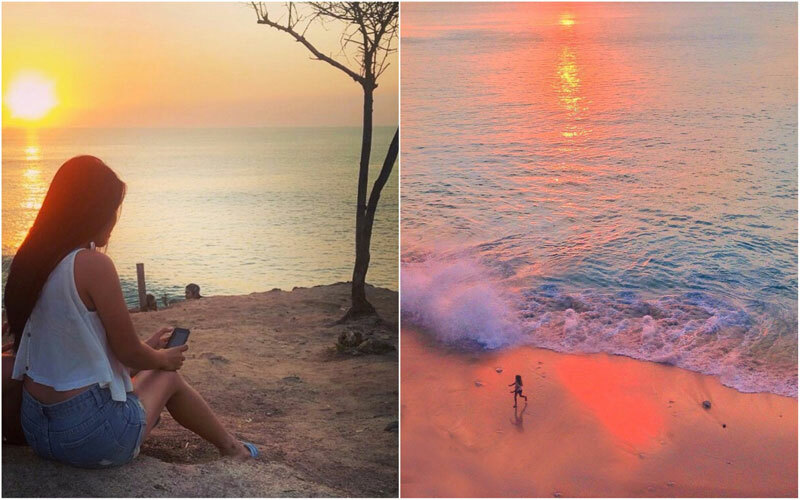 Lay back and watch the day go by at one of the most gorgeous beaches in Bali, and make sure to take the prettiest pictures while you’re at it. Directions: To reach Atuh, one can take a ferry or a fast boat to reach the island, and rent a bike once they arrive at Nusa Penida Harbour. Want more than just a regular sunset picture at the beach? 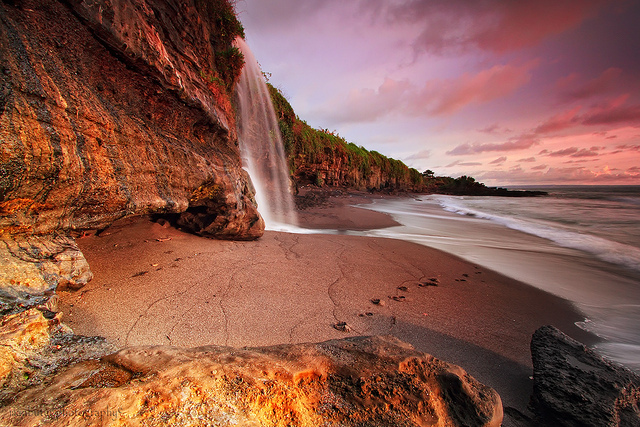 Along the sandy Melasti beach lies a hidden treasure – a waterfall. 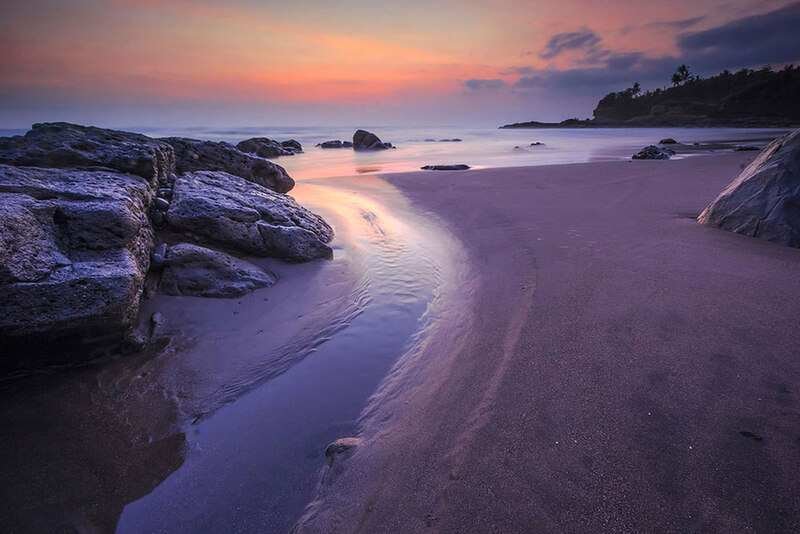 Capture a shot from the shoreline of the sun setting as the water streams back into the ocean. Now, your “once in a lifetime” picture is worthy to be used as your Facebook cover! 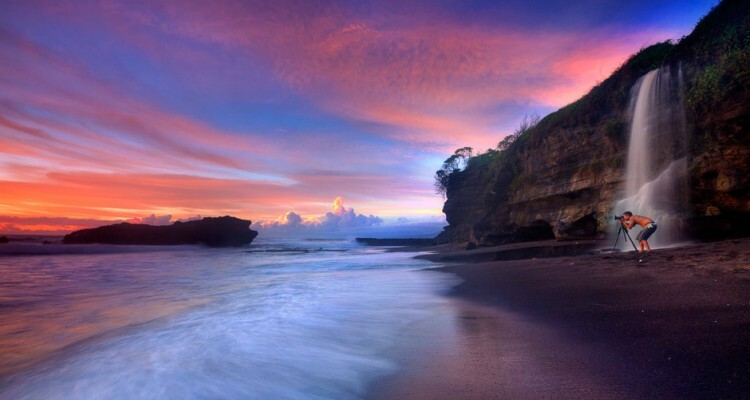 A 15-minute walk away from Tanah Lot, head over to the beach after visiting the Tanah Lot temple. 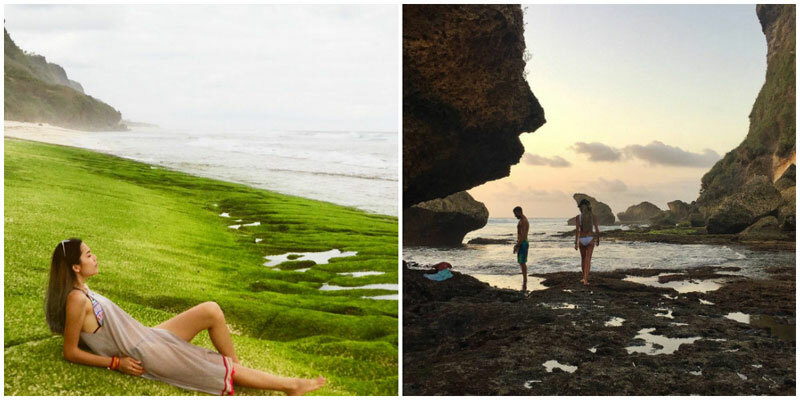 You’ll be safe from the crowd as Melasti Beach is one of Bali’s best kept secrets (until now). 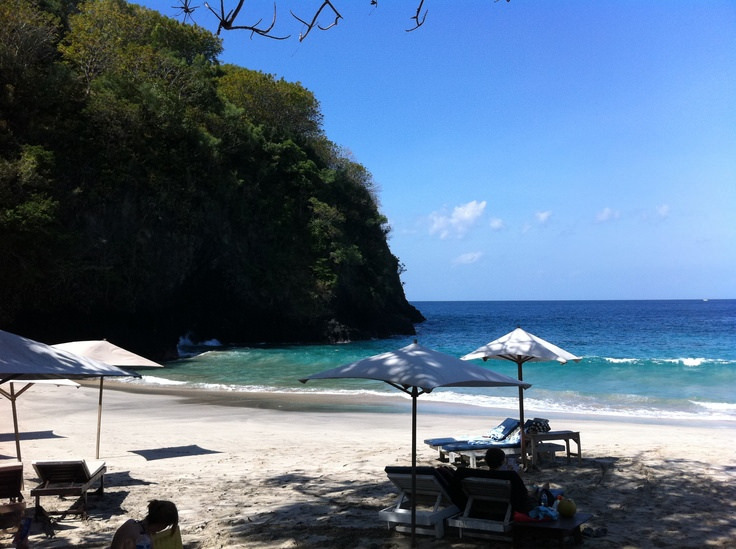 Note: Take note not to mistake this Melasti beach with the one near Ungasan! Directions: Melasti Beach is along Jl. 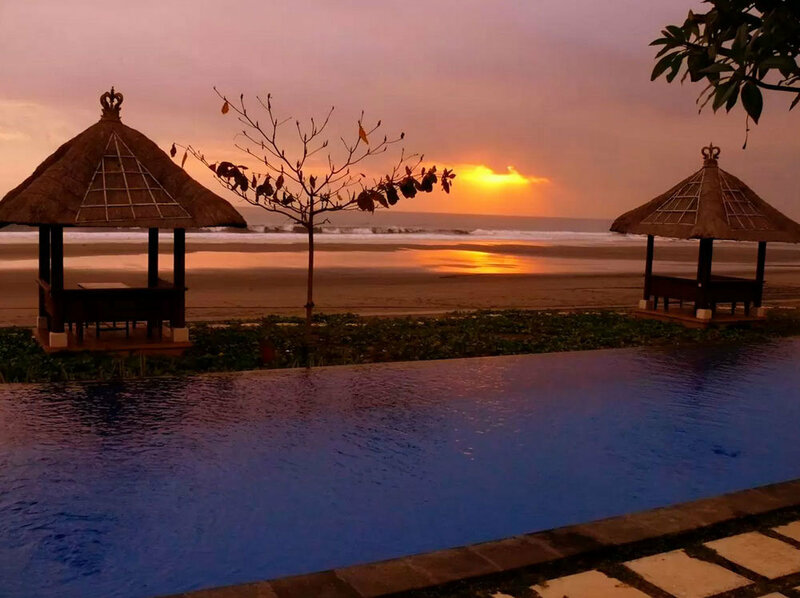 Padma and is a 13 minutes car ride away from Bali’s airport. Coordinates here. Note: Melasti waterfall is seasonal. It disappears during the dry season. Thanks Riffa for the tip! 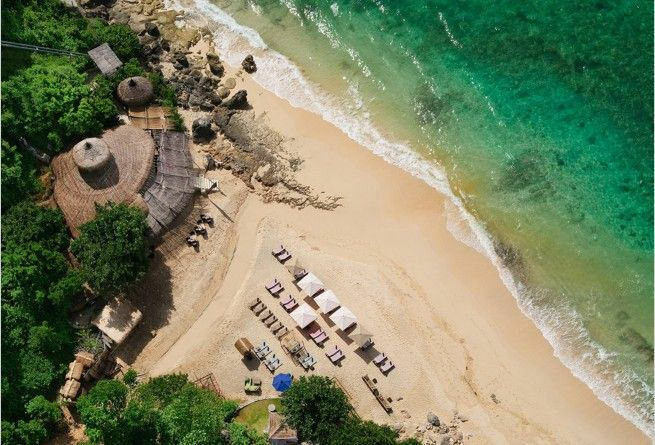 Nestled in Nusa Dua, Bali’s luxury villa neighbourhood, Geger Beach has experienced development at one end, while the other remains gorgeously untouched. In fact, what’s left of this little slice of paradise is a hideout for passionate beach-goers looking for a break from the crowd. The place is popular with local expats rather than tourists, which is no surprise, since they are probably residents in the high-end locality. While you enjoy your quiet afternoon by the sand and sea, don’t forget to visit its seaweed farms, where the plants are harvested to produce cosmetics. You can even spot the farmers at work on the beach. 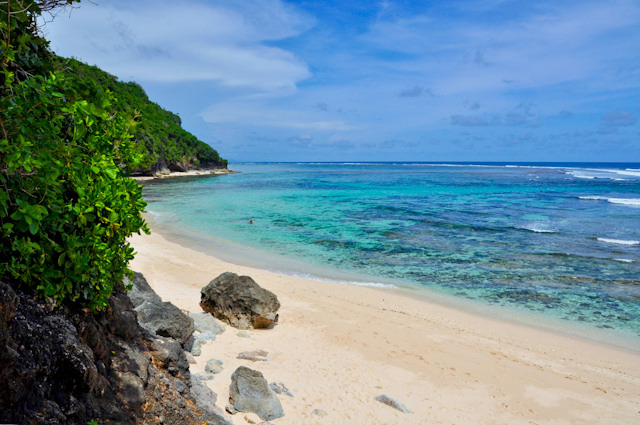 With calm and crystal clear water, Geger Beach is also perfect for swimmers and snorkellers. 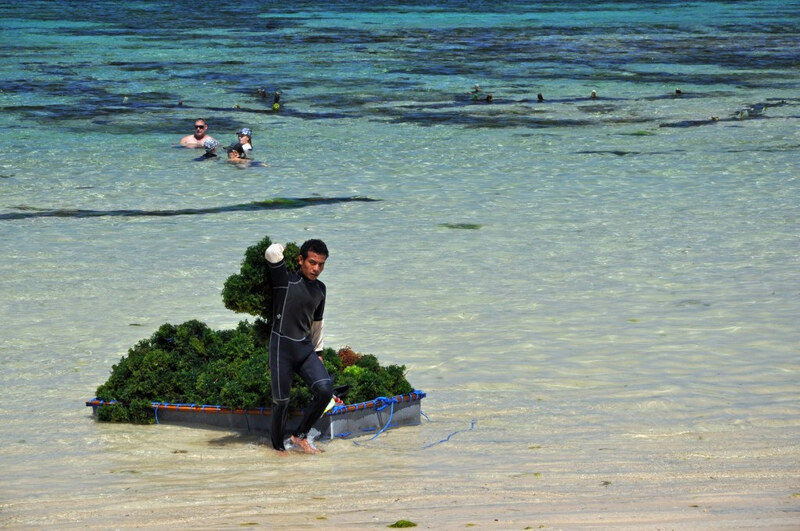 Its seaweed farms attract spectacular reef fish into the shallow waters too! Want to have the privacy of an exclusive beach? 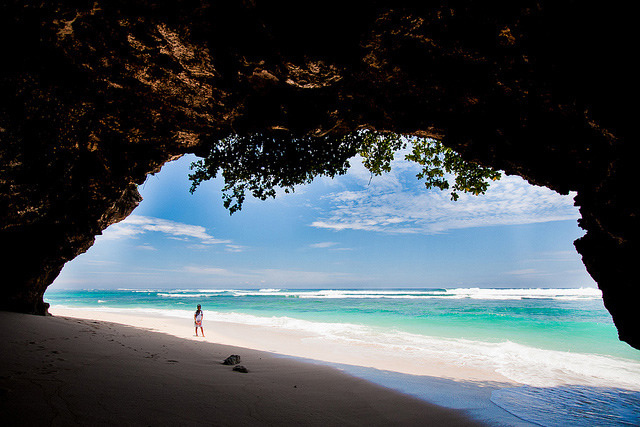 Karma Beach is one of the few places where you’ll have to pay to experience Bali’s untouched beauty. For just IDR $500,000, you can descend via the inclinator to the private sands of the Karma Kandara Villa, where your entrance fee includes purchase of food and drinks. Supermodel Kristy Hinze and actor Jeremy Piven are known to be former guests, with their cliff side villas renting for USD $1400 a night. And yes, this is the perfect beach with blindingly white sand and turquoise water, where you can enjoy world-class Mediterranean-inspired cuisine and an ice-cold beer. 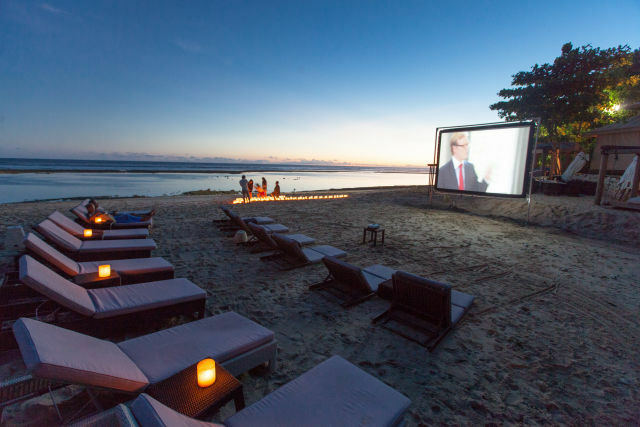 You can even watch a movie by the beach, as the sun sets for the day. Now, how many beaches provide that level of luxury? 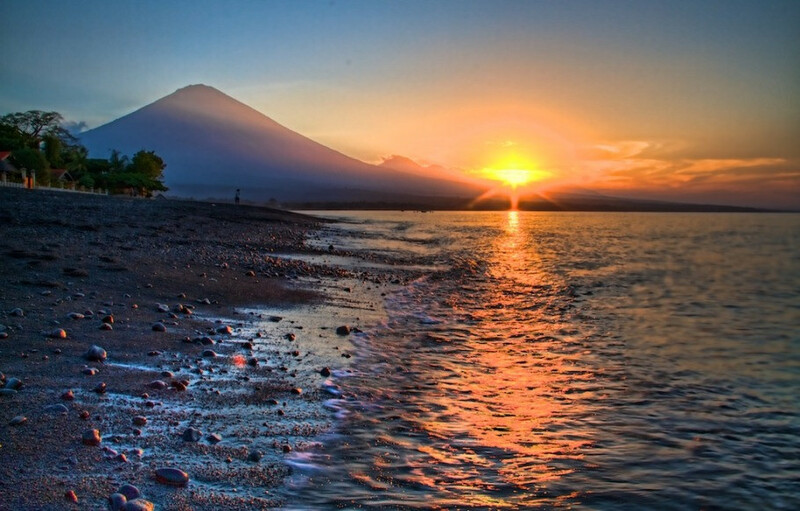 Ditch the crowds at Southern Bali and embark towards an off-beat hideaway in West Bali. Soka Beach is a rare sight with its black sands and green surroundings. Its picturesque backdrop is lined with a chain of hills on one side and the view of the magnificent peaks of Gunung Agung on the other. But, for the one with a curious eye and an appetite for myths and mysteries, Soka Beach has many hidden secrets to draw you in. 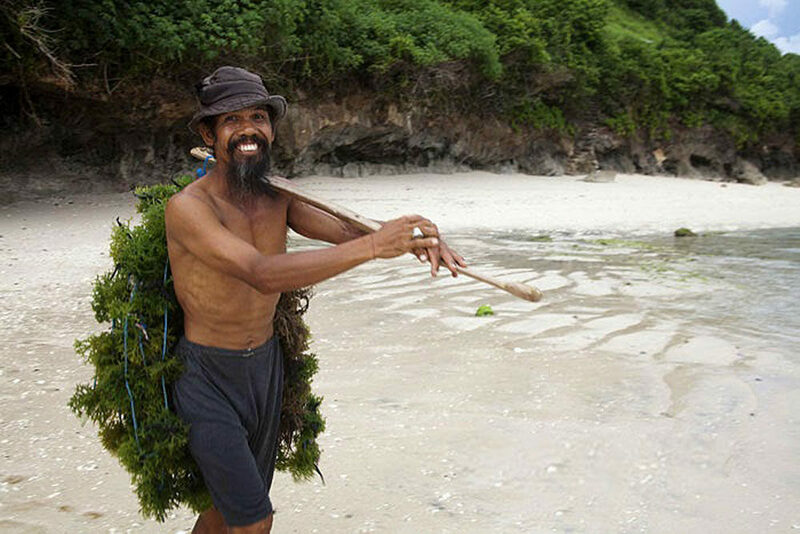 While the beach is home to a lot of myths, its waters and the huge coral reef are believed to be the cooking pot of Balinese might man, Kebo Iwa. 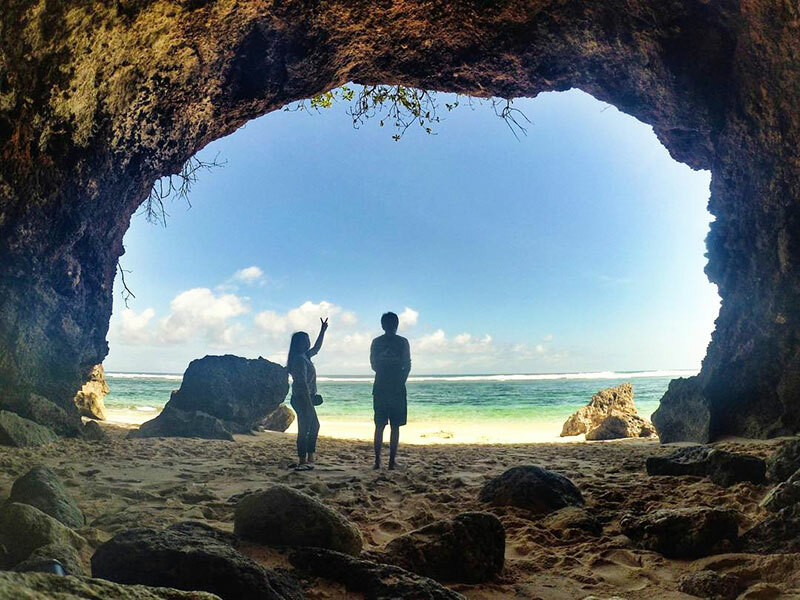 If you’re up for a little Narnian-esque adventure, head down to Soka Beach – try and decipher its coral rock formations, and even discover the secret batcave! 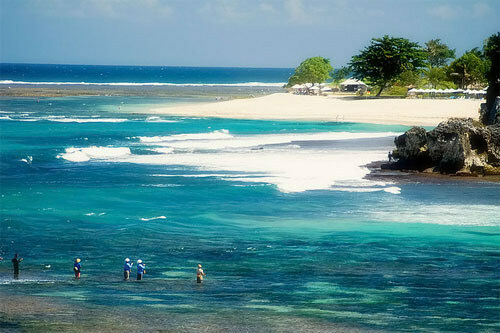 Directions: Head 25 km west from Tabanan to arrive at this legendary yet “hidden” beach in Bali! Can you imagine a beach with black sand? 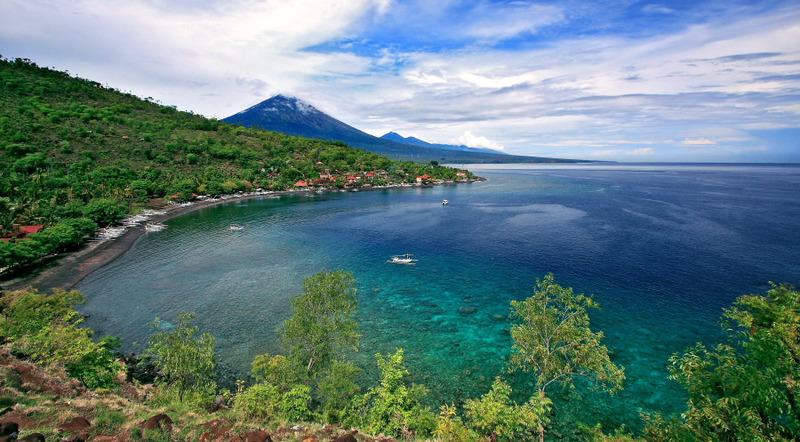 It’s actually a common sight in Amed, which boasts of unique black sand beaches due to the volcanic deposits in the coastal soil. But this isn’t the only thing appealing about this north-eastern gem. Featuring a flat bottom lagoon, it’s also a perfect spot to learn snorkelling and diving, and the reef is a short distance away by boat in calm waters. No worries if you’re on a budget – there are numerous local villages with various accommodation options. But one thing you should try – seafood. It is one of the region’s best, and be sure to also try the locally harvested salt for a taste of the seaside, literally. 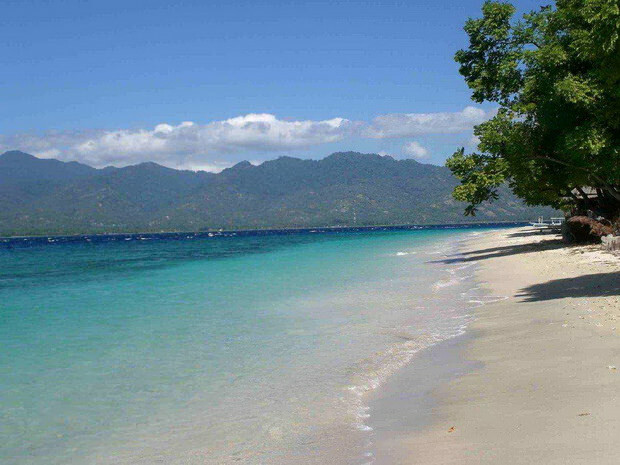 The gorgeous Pasir Putih (meaning white sand) owes its secluded reputation to its location. 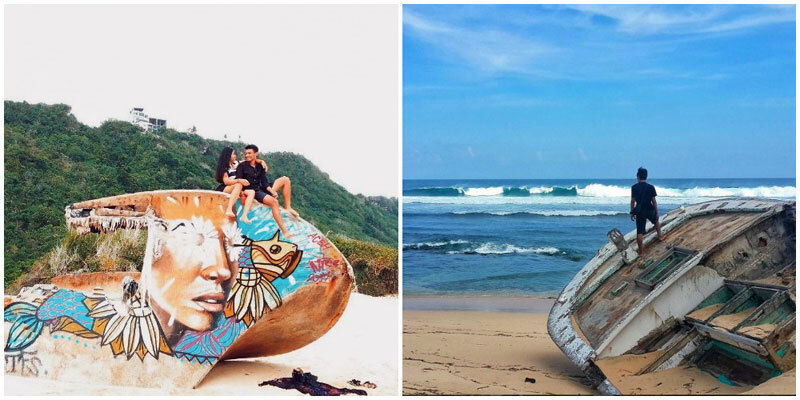 Although it’s barely 90 minutes’ drive from Denpasar, the capital, reaching it is an adventurous trip that takes you through a tiny village, down an unmarked trail and along a rough, sandy track. 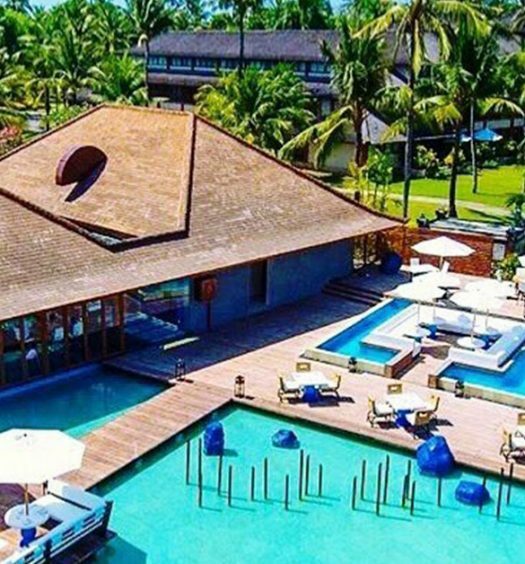 This pretty little hideout is tropical paradise incarnate. You can swim in turquoise waters, rent a beaten-up lounge chair and enjoy some local eats on the sparsely populated shoreline. 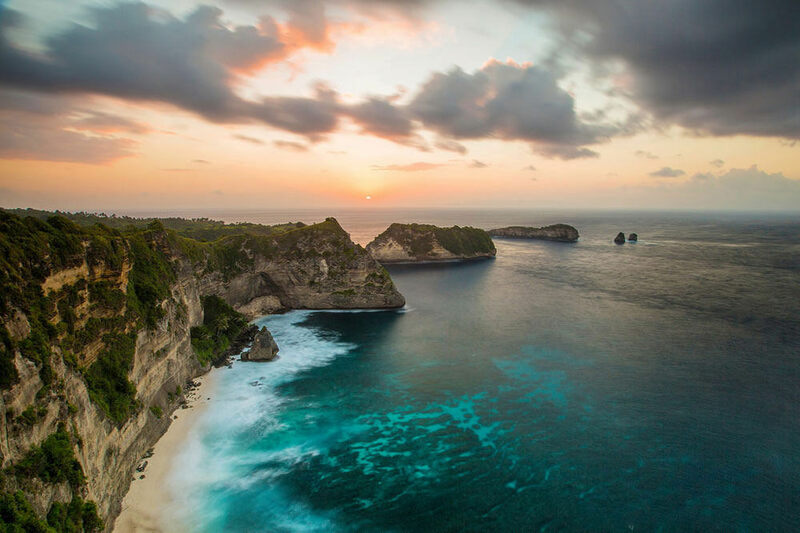 You’ll also then notice something lovely – unlike almost every other beach in Bali, this one is so secluded that there’s not a single villa or hotel in sight. 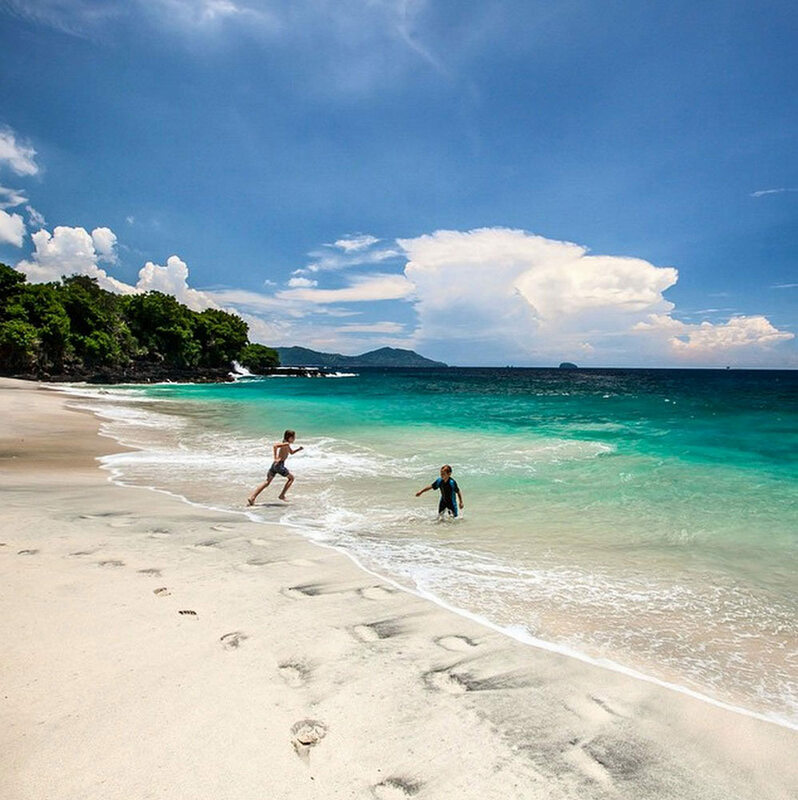 You probably wouldn’t have heard of Yeh Leh Beach unless you are a local fisherman. 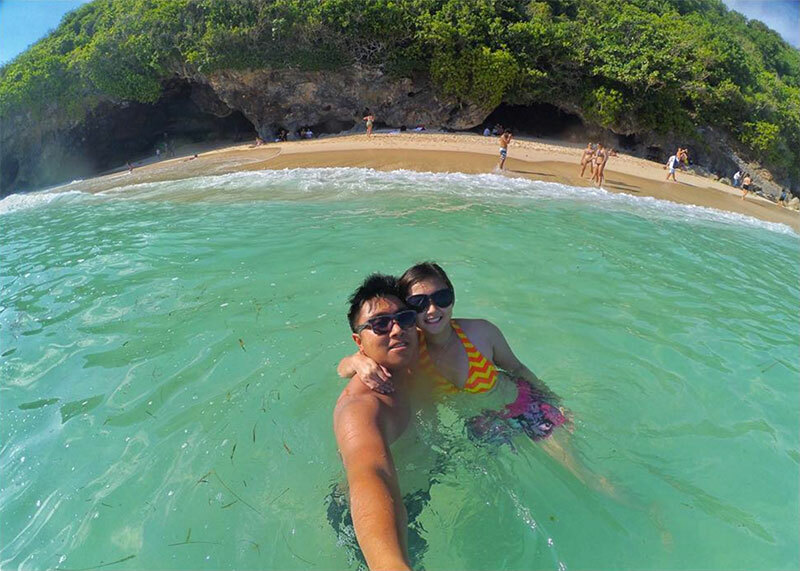 Located in Jembrana, just off the Denpasar-Gilimanuk highway, Yeh Leh is not decorated with soft white sand like your ideal beach. 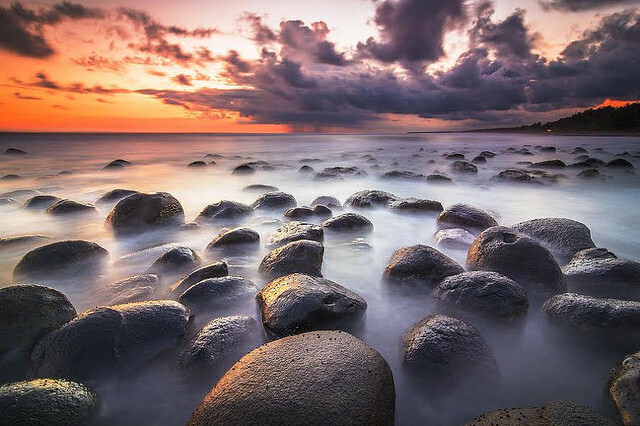 Instead, thousands of boulders litter the shore, either covered in algae or washed clean by the waves. These mysterious rocks have been smoothed over for hundreds of years, leaving few clues about their origin. 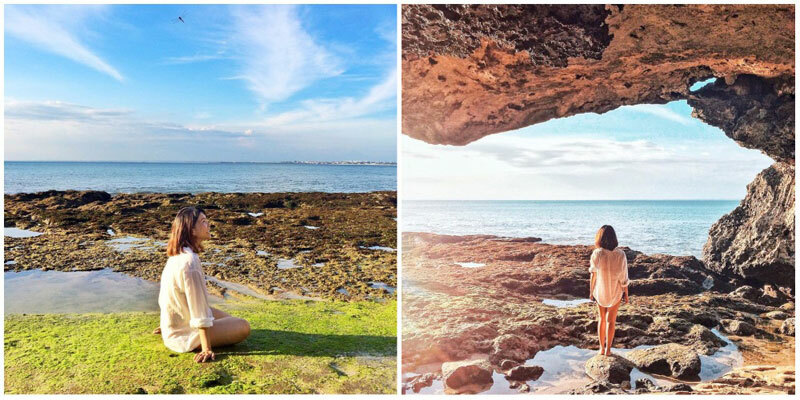 The beach is actually easily accessible, and you can visit at low tide to see Yeh Leh in all its glory, with the boulders unearthed and many interesting marine animals caught in the rock pools. And if you can, don’t miss its stunning sunset, which lights up every shining rock on the shore. 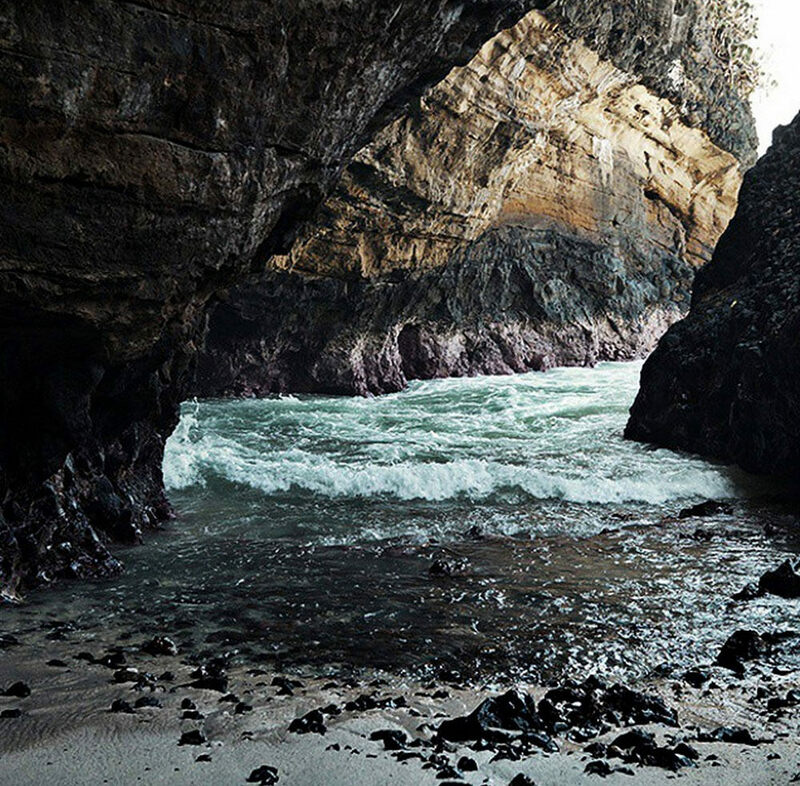 These are some of our favourite hidden beaches, but we’re always looking for new spots to try. 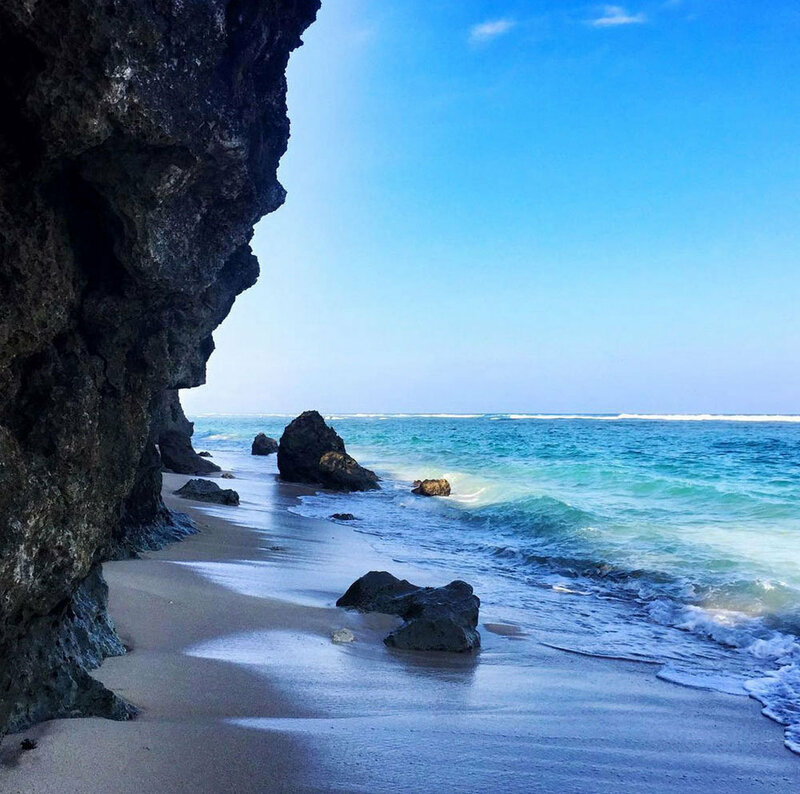 Have you discovered another hidden beach in Bali? Tell us about it!